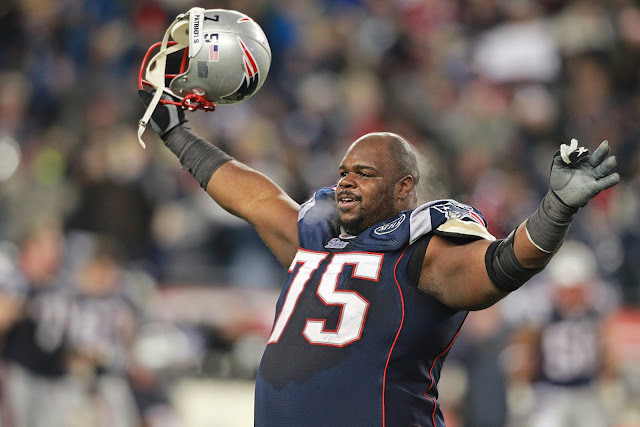 Vince Wilfork has been mulling retirement for months now and still hasn't made a decision on it. However, there is one decision he has made - whenever he does hang it up, it's going to be with the Patriots. ESPN Boston's Mike Reiss, on WBZ-TV's Sports Final, reported Wilfork will likely sign a one-day contract with New England in order to retire a Patriot. Reiss was asked if he saw any way Wilfork re-signs with New England as a player, to which he said the chances of that are highly unlikely. Wilfork was effective in a limited role with the Texans over the last two years. At 325 lbs, Wilfork can still be a serviceable run-stopper if his reps are limited, but the Patriots are largely set along the defensive line. Still, it would be really cool to see Big Vince in a Patriots uniform one more time.